A visit to the dentist’s office is a nerve wracking experience for both kids and adults. I’ve luckily not had much dental problems in my life but my sister on the other hand visited the dentist often for filling her cavities and what not, and trust me that was the only time I’ve seen her nervous and freaked out. Apollo White Dental Spas aims to remove the stigma and scare revolving around a visit to the dentist by not only making your experience more comfortable but by pampering you as well. 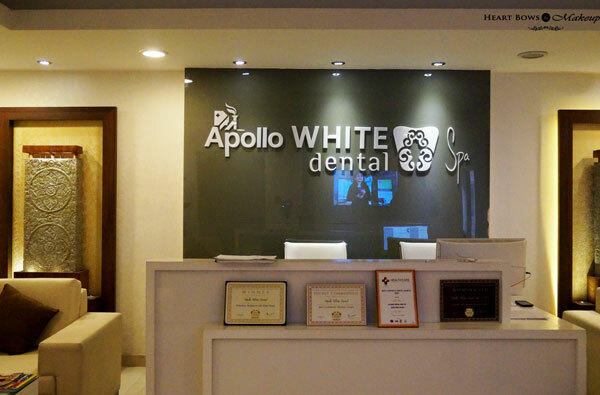 I visited Apollo White Dental Clinic located at Gk 1 last month. I was greeted by their warm and friendly front desk and taken around the property. 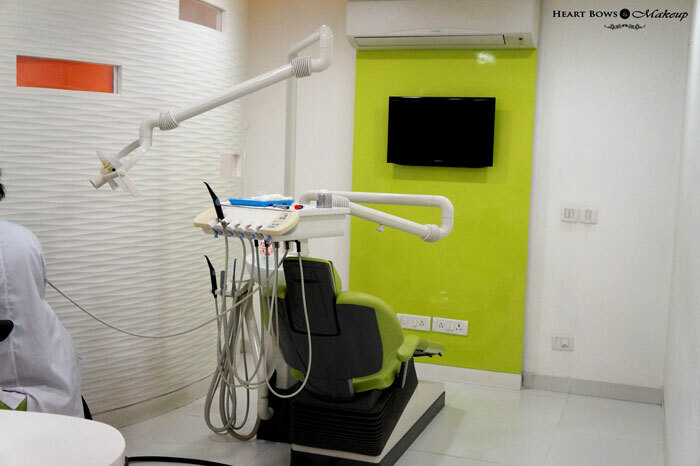 Apollo White Dental introduced the concept of the first of its kind 7 star Dental Spa in India, that brings top of the line indulgences along with the best of the doctors and cutting edge technology in a luxurious, sophisticated and calm ambience. 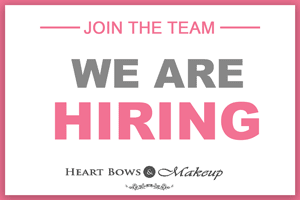 One can have a scoop of frozen yogurt, dine at the cafeteria, listen to one’s favorite music, watch movies, get one’s pedicure and manicure done, relax in the massage chair or even engage children in X Box gaming. 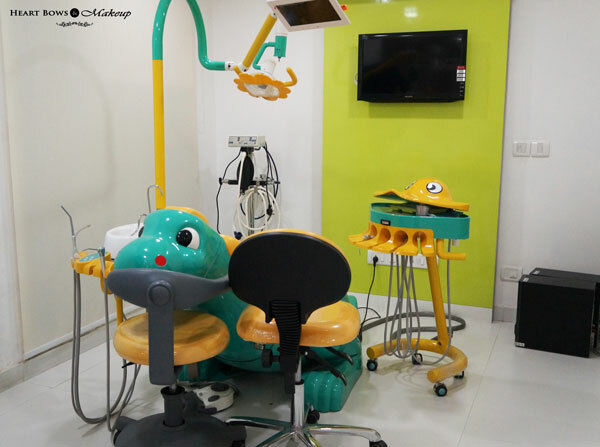 All the Apollo Dental Spas are equipped with the latest technology be it their dental chairs,instant CAD CAM crown machines, crowns, aligners etc. 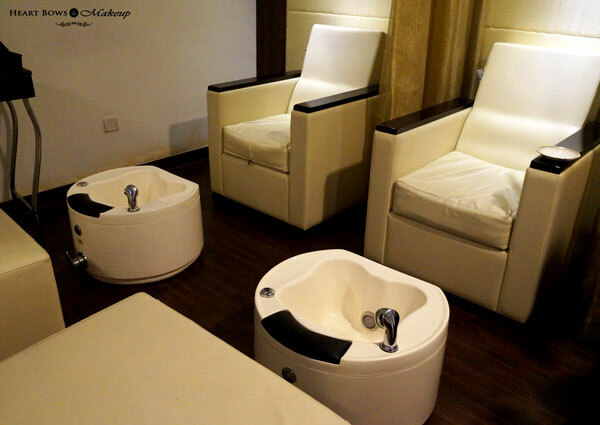 You can relax your tired muscles while waiting for an appointment in the massage chair or if someone is accompanying you, they can also get a mani-pedi done while you get your dental services. 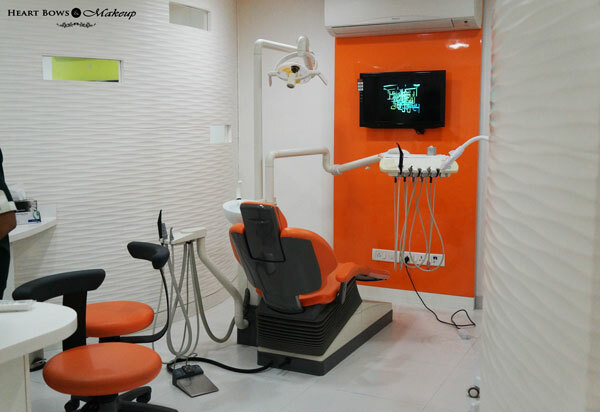 With experienced dentists, cutting edge technology, world-class infrastructure and personalized care, Apollo White Dental Clinic is becoming the preferred choice in dental care. I decided to try the popular Laser Teeth Whitening Procedure which has gotten really popular in India over the past few years. Keeping your pearly whites just that can be a task in the days of coffee, wine, aerated drinks, smoking etc. You tend to feel quite conscious of your smile if you have stained or yellow teeth hence many people have been opting for laser teeth whitening which not only gives great results but has minimal side effects. Laser Teeth Whitening is a procedure wherein a hydrogen peroxide solution is applied onto a patient’s teeth which is subjected to laser that activates the chemicals placed. It can take anywhere from 15-30 mins and claims to lighten your teeth by 4-6 shade. The results can last upto an year or more depending on your dietary habits. My procedure took about 20 mins and was extremely comfortable. My teeth did feel a wee bit sensitive during and after the procedure but it subsided after a couple of days. I was advised to avoid tea , coffee or anything too cold the first week which wasn’t much of an issue for me. The results were amazing and my teeth have lightened by atleast 4 shades. I’m unable to find the before and after pictures but once I do I will surely update the post with the pictures. The cost of Laser Teeth Whitening in India at Apollo White Dental Apa costs Rs 15,000 approx which is quite an investment but trust me if stained teeth bother you then its worth it. Its been a month since I got the whitening laser done and haven’t faced any issues or side effects. The staff at Apollo was extremely cordial, experienced and I had a comfortable time there. Highly recommended for all your dental needs!